Fred’s Final Tribute – Remembrance of a Father Loved and a Life Lived. A man who was the king of one-liners developed over 40 years playing for bands in night clubs, bars and wedding halls – so many that we decided to number them. A man who at one time looked so much like the Baker in the Dunkin Donuts commercials of the 1990s that we teased him for it and kept telling him it was “time to make the donuts”. A man who loved all the good things in life especially his cars. A man of few words or deep thoughts but who showed his love for his family in so many of the things that he would do. If a life can be summed up in a phrase it is this: Being There. He was there for us, for the most important thing in his life – his family. On May 4th, Fred Stanganelli, former wedding band drummer and Raytheon retiree, celebrated the 47th anniversary of his 39th birthday at home resting after a recent dialysis treatment. We celebrated Father’s Day together (Sunday the 19th) in the emergency room of Ana Jacques Hospital in Newburyport before he was transported to Portsmouth. At 4:11 PM on Thursday, June 23rd, shortly after receiving Last Rites, our father passed away. Good altar boy that he was, he waited. We are here because of two immigrants in a new land who came from Palermo and Siracusa, Sicily and found each other in Lawrence: Giuseppe Stanganelli and Giuseppina Coco. Giuseppe (or Joe) was known as George to his coworkers in the mills of Lawrence because there were too many Italians named Joseph. He worked in the mills and as a mason and opened a small grocery market with Italian imports. A knack for business that passed on through our Dad and to us. Giuseppina (or Josephine) also worked in the mills. She was a great cook and baker who loved to sing while she cooked. And she pampered her baby. They had four children: Silverio (known as Sammy), Mamie, Josie and their baby Alfio or Freddy as he came to be known. Fred was born at home at 182 Garden Street in Lawrence on either May 3, May 4 or May 5. (He always said the records were not so accurate so he split the difference). He was predeceased by his brother Sammy who was Killed In Action in Italy during WWII, his sister Mamie Matthews of North Andover and Josie DiPari of Methuen. Fred was raised on Garden Street, attended Holy Rosary School and graduated from Lawrence High – he was very proud of that. He saved a classmate from drowning once in one of the fountains on Lawrence Common – a legacy in itself. He was an altar boy at Holy Rosary Church (but that didn’t make him a saint – just ask our mom). We are also here today because a co-worker friend of my mom who was the wife of one of his band mates set them up on a date. As our mom tells it, he drove up in a new car, had one of his fancy suits on and his drums in the backseat. I don’t know how long they courted but eventually, he popped the question with this romantic line: Let’s go get a blood test. (I told you he was not a man of many words). For most of his life he lived in Methuen – The Valley as we called it – where he raised a family that included me, my older brother, Joe, and our mom Olga (and let’s not forget his beloved cat Baby). Like Archie Bunker, he had his favorite chair that he watched TV from. He retired to York Beach, Maine and returned to Amesbury several years ago to be closer to his family — and, unfortunately, his doctors. He was never afraid of hard work. He held many different jobs. At one time he worked for Eastern Airlines and Pan Am Airlines in New York City and often flew to Florida and pre-Castro Cuba – the Las Vegas of its day so we’ll leave it at that. He even got appointed to Deputy Sheriff of Essex County. While it never turned out to be a paying gig, he looked good in uniform and when he marched in parades. For most of his life he worked as a finish presser in the textile mills of Lawrence showing the pride of craftsmanship when he would point out a coat in a store with a London Fog label. After many years of trying, he finally got a job as a material handler at Raytheon that he retired from after several years. He was best known for his lifelong passion as a musician or as one EMT wrote in a report “a retired physician” – which I guess is true — he was doctor of the snare drum. For more than 20 years he played with The Five Knights and then the Sears Brothers. He played at Canobie Lake and Nurembega Park when dance halls were filled with Big Band music. He would tell us stories of when he would take the train to do gigs in Maine or drive to Salisbury Beach when gas cost a nickel. He also marched with the Italian Colonial Band which accompanied the saints paraded through the streets of Boston and other North Shore towns during the Italian festivals on summer weekends. And I remember marching with him. He was very proud to be a 4th Degree member of the Methuen Knights of Columbus and was briefly a member of the Lawrence post of the Sons of Italy. He was a generous man but not one of deep thoughts or many words. While I never recall him reading a book, he was street smart but he wanted us to go to college. He was devoted to his sons – Joe and me – and then his grandsons (Joseph and Stephen — as you can tell we don’t like variety in names in our family). He was willing to support each of us in any endeavor. He was just always there. You bring him an idea and he was there to support it. It wasn’t about money – there often wasn’t any – but he was there. He brought me to Little League. For a man who didn’t read, he brought me to libraries. He was so often at my high school band functions that he was recruited along with three other dads to help carry the equipment needed for our field shows. For this he and the dads became “The Box Crew” and all were awarded T-shirts. For anyone who remembers the 1992 campaign for state rep here in Methuen, you may recall seeing Fred sitting in a lawn chair holding a sign in one hand and a Dunkin Donuts coffee in the other at the entrance to the on-ramp of 495 South on Merrimack Street. Every day he was there. (I think I at least got the Dunkin Donuts vote). He would drive us anywhere and be there during practices or school functions no matter when or what the time. Before there was GPS, there was Fred. He would drive anywhere. Once when I won an essay writing contest, I had to go to Milton Academy. Where the heck was Milton? He found it. Once we visited my mom’s brother, our Uncle Peter, in Harrisburg, PA. He found it. In fact, our dad was always in and out of the house so much, our mom would call him “popcorn.” He would pop in and then pop out. Always busy going here and there (maybe our Spencer inherited that). Going to the Methuen Mall – when there was one here – to “walk” which really meant to sit on the benches and drink coffee and shoot the breeze with the guys. Or visiting his mom – who he was devoted to. My fondest memories: Sundays coming home from church and getting fresh-baked bread from Tripoli’s; walking down Common Street during the Feast of the Three Saints; the time the roof leaked and all four of us camped out in our living room to stay warm. Fred had dreams like we all do. It was a lifelong dream of his to build a home in The Valley on “The Farm” – every Italian family needed to have one – that he inherited from his dad. That dream came true not for him directly but when my brother Joe built his house there and we often had our family holiday meals there. I remember that he was always quick to buy the latest gadgets – an electric knife he used for Thanksgiving dinner; cameras; cars; TVs; you name it. Another trait that was passed on to Joe and me – but more my brother than me. Let’s not forget about the time he bought the barber clipper set when I was about 3 and Joe was about 11. He did such a sheep- shearing on us that I cried but my mother said “but Joey has to go to school this way.” My poor brother looked like he was attacked by a raccoon. (Needless to say, his idea of becoming a barber or saving money on haircuts didn’t last long). I remember it was his dream to own a summer-house on Canobie Lake. While that didn’t happen, he did get a chance to live near the beach in York, Maine in retirement. I remember it was his dream to own his own business. In fact he even worked at his uncle’s bar in Lawrence and tried to buy it. While that too didn’t happen, he helped his sons with their dreams: whether it was selling hot dogs at parades or developing photos in the basement. There were many times that I recall he would drive down from Methuen to my office in Woburn (on one of his popcorn runs) to gladly fold and stuff envelopes for my business. He would gladly do you a favor and lend a hand but if you crossed him or tried to make him out to be a fool he would show you what it means to be a Taurus. Pity the poor car salesman who tried to separate him from his money. We are all saddened by his passing. Over the past three years he has been in decline and while in good spirits he grudgingly accepted the medications and procedures that he received. He survived to see his sons graduate from college, a grandson from law school and his other son (me) miraculously get married. He lit up when he saw Kristin enter a room – he was always a bit of a sucker for a pretty girl. He got to see the Red Sox win the World Series (though his favorite team was the Braves because they once were from Boston). He enjoyed our precocious 21-month old toddler Spencer. And he was an avid card player – the Lawrence game of 45s being a favorite (and he always had a knack for drawing the Ace of Hearts). In many ways life was rough but Fred was lucky and we are lucky to have known him. While Fred is dead, his legacy lives on – in us. Thanks to Sondra Adelman, Brookline, MA who forwarded this. On May 4, Fred Stanganelli, former wedding band drummer and Raytheon retiree, celebrated the 47th anniversary of his 39th birthday at home after a recent dialysis treatment. We celebrated Father’s Day in the emergency room of Ana Jacques Hospital in Newburyport before driving up the road to Portsmouth. At 4:11 PM on Thursday, June 23, shortly after receiving Last Rites, my father passed away at Portsmouth Regional Hospital. 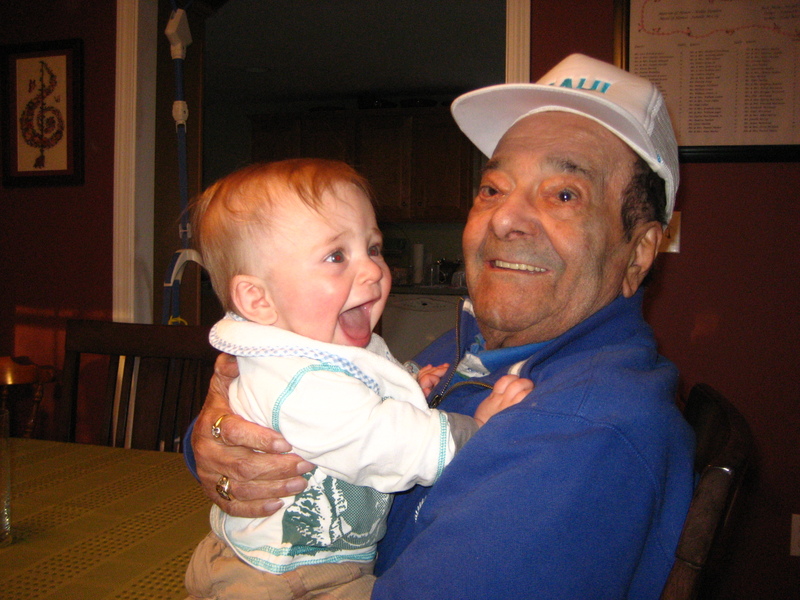 Fred was born as Alfio Stanganelli at home at 182 Garden Street in Lawrence, Massachusetts on either May 3, May 4 or May 5 (the records were not so accurate so he split the difference). He was the fourth child and second son of Giuseppe Stanganelli, formerly of Palermo, Sicily, and Giusippina (Josephine Coco) Stanganelli, formerly of Siracusa, Sicily. He was predeceased by his brother Silverio (Sammy) Stanganelli who was Killed In Action in Italy during WWII, his sister Mamie Matthews of North Andover and Josie DiPari of Methuen. Fred was raised on Garden Street in Lawrence, attended Holy Rosary Elementary School and graduated from Lawrence High School. He was an altar boy at Holy Rosary Church. For most of his life he lived in Methuen where he raised a family that included me, my older brother, Joe, and our mom Olga (and let’s not forget his beloved cat Baby). He retired to York Beach, Maine and returned to Amesbury, Massachusetts several years ago to be closer to his family — and his doctors. Fred retired from Raytheon after several years of service. At one time he worked for Eastern and Pan Am Airlines in New York City and often flew to Florida and pre-Castro Cuba. He was best known for his lifelong passion as a musician. As he would say “he was the best drummer in the country … but he didn’t know about the city.” For more than 20 years he played with The Five Knights and then the Sears Brothers. He also marched with the Italian Colonial Band which accompanied the saints paraded through the streets of Boston and other North Shore towns during the Italian festivals on summer weekends. He was a 4th Degree member of the Methuen Knights of Columbus and was briefly a member of the Lawrence post of the Sons of Italy. He was a generous man but not one of deep thoughts or many words. He was devoted to his sons and then his grandsons willing to support them in any endeavor. He would drive us anywhere and be there during practices or school functions. There were many times that I recall he would gladly fold and stuff envelopes for my political campaign and my businesses. He would gladly do you a favor and lend a hand but if you crossed him or tried to make him out to be a fool he would show you what it means to be a Taurus. Kristin reminded me that my dad’s passing was on her Uncle Dougie McCowan’s birthday. Hopefully, they can both share a cup of Dunkin together. (Since my dad was not a golfer, he’ll probably sit in the golf cart). Others may relate to his other one-liner as you read this: I didn’t even know he was sick. We are all saddened by his passing. Home is where the heart is. So he was ‘home’ surrounded by the love of family and friends. Over the past three years he has been in decline and while in good spirits he grudgingly accepted the medications and procedures that he received. But he survived to see his sons graduate from college, a grandson from law school and his other son (me) miraculously get married. He enjoyed our precocious 21-month old toddler Spencer. And he was an avid card player – the Lawrence game of 45s being a favorite (and he always had a knack for drawing the Ace of Hearts). 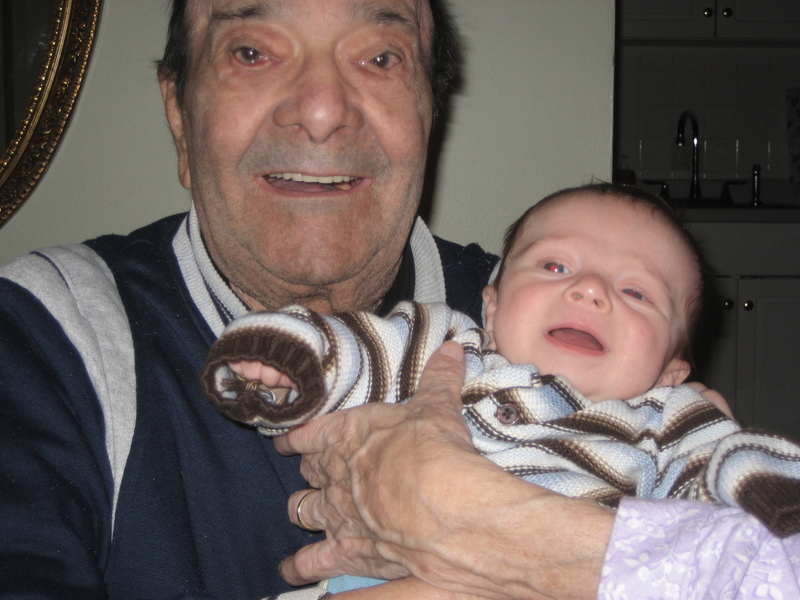 He is survived by his wife and companion of 55 years, Olga (Petrosino) Stanganelli of Amesbury. He leaves behind his sons Joseph S. Stanganelli and daughter-in-law Donna (Breen) Stanganelli of Naples, Florida; Steven J. Stanganelli and his wife Kristin (McCowan) Stanganelli of Amesbury, Massachusetts. Along with many nieces and nephews and special friends throughout the Merrimack Valley and North Shore, he also leaves behind three grandchildren and one expected in September: Joseph S. Stanganelli, Jr of Malden, Massachusetts; Stephen A. Stanganelli of Naples, Florida and Spencer J. Stanganelli of Amesbury (and one to be named later). 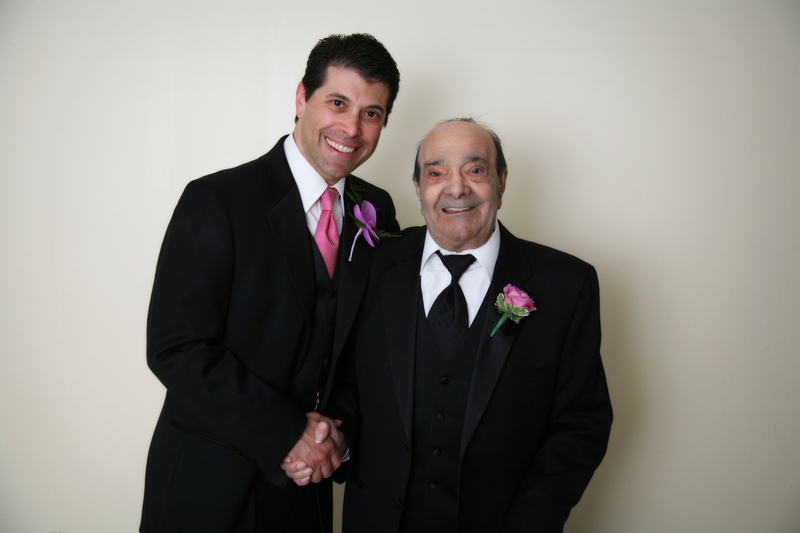 The family will be receiving friends on Sunday, June 26 from 4:30 PM until 7 PM at the Cataudella Funeral Home (www.CataudellaFH.com), 126 Pleasant Valley Street, Methuen, MA. The funeral mass will be celebrated Monday, June 27 at 10 AM at St. Lucy’s Church, 254 Merrimack Street, Methuen. Interment will follow in the Immaculate Conception Cemetery where his parents now rest. Donations may be made in Fred’s memory to either the American Diabetes Association, P.O. Box 1132, Fairfax, VA 22038 or to the American Kidney Fund, 6110 Executive Blvd., Rockville, MD 20842. He is with God and his former band mates who probably needed a drummer finally to help them keep the beat.